RALEIGH (WTVD) -- In 2015 more than 1,100 people died of opioid overdoses in North Carolina. Figures released today by Gov. Roy Cooper's office show opioid-related deaths in the state have increased 73% from 2005. Wake County leads the state in opioid-related deaths, with 62 in 2015, an increase of 77% from 2015. Deaths in Durham County increased 183% in the ten year period, from 6 to 17. Cumberland County also saw a large increase, from 14 to 41 deaths, a 193% increase from 2005 to 2015. 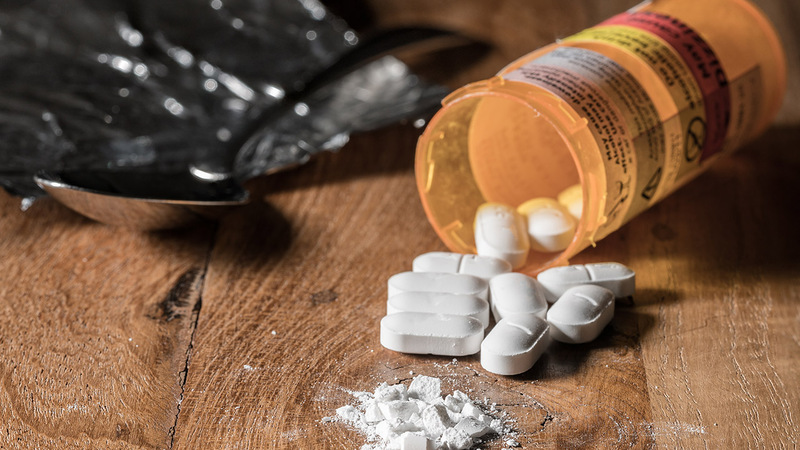 The opioid crisis isn't just impacting urban counties. Rural counties have also seen significant increases in the number of opioid-related deaths since 2005. Nash County went from 2 to 11 an increase of 450%, and Moore went from 4 to 11 deaths, an increase of 175%. Cooper's office used the new data to support its Common Ground Solutions for North Carolina budget proposal. That proposal would provide $12 million in statewide mental health single stream funds to help combat the opioid crisis and an additional $2 million to enhance local law enforcement's efforts to fight the crisis. Then budget passed by the NC Senate only provides $1.9 million per year to curb the opioid crisis. The opioid crisis will be the subject of an ABC 11 Town Hall, Addition: Hidden in Plain Sight, Wednesday at the Cary Art Center. The Town Hall will be streamed live on abc11.com from 7-8:30 pm.